One of my current wine goals* is to deepen my knowledge of different regions. Among the regions I need to explore is a small country hanging out at the edge of the Iberian Peninsula: Portugal, aka Spain's peninsular BFF and the home of Port, bacalhau, and serene beaches. I'm really excited to visit Portugal one day but until then, we shall drink its unique and affordable wine. Cork (n.): A buoyant substance from the outer layer of the bark of the cork oak. It is often used to seal wine bottles. Portugal is the world's largest producer of corks. Before we start sipping, we should probably do some learning. For the purposes of this post, I won't get into Portugal's famous fortified wine, Port, since we could be here all day. Port, you shall have your own post soon! Instead, let's talk specifically about Portugal's dry table wines. Portugal has a long history of wine production, but thanks in part to its geography, Portuguese grapes did not spread about the land to the extent that other grapes did. In fact, some Portuguese grapes are still found only in Portugal. Unfortunately for Portuguese winemakers, this obscurity has meant lower demand for their wines. Fortunately for us, it also means that these delicious wines are relatively affordable. In order to start exploring this country, there are a few things to know. As for grapes, there are over 250 varietals grown in Portugal. 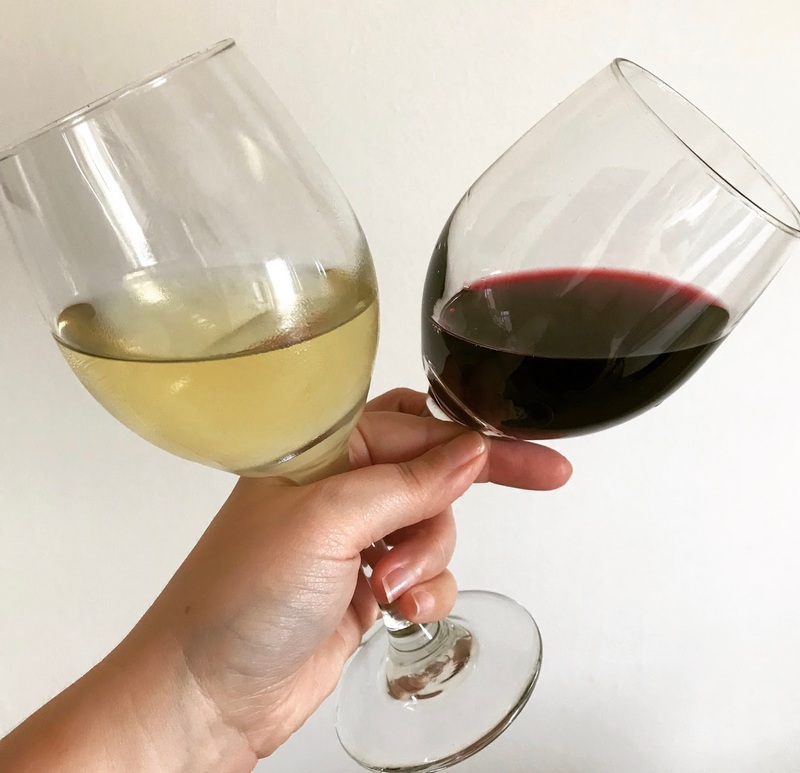 The ones you'll see most often include white grapes like Alvarinho, Encruzado, and Arinto, and red grapes like Azal Tinto, Alfrocheiro Preto, and Touriga Nacional. If this seems intimidating, I don't blame you. I suggest focusing on regions rather than getting caught up on the grapes. Winemakers in each region tend to use the same selection of grapes and share a similar approach to blending. If you find a regional wine that you like, chances are you'll like other wines from that region, too. Vinho Verde (n.): Translates to "green"—aka young—wine. It is a light-bodied white, red, or rosé wine from the Minho region known for its bright, fruity acidity. The Portuguese appellation system is based on Denominação de Origem Controlada (DOC), Vinho Regional (IGP), and Vinho (wine). 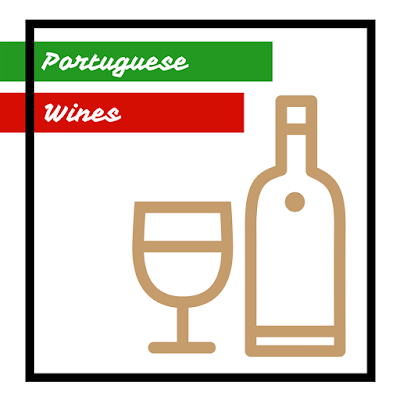 When buying a Portuguese wine, a label with "DOC" or "IGP" will be higher quality than one marked "vinho" without a specific region. 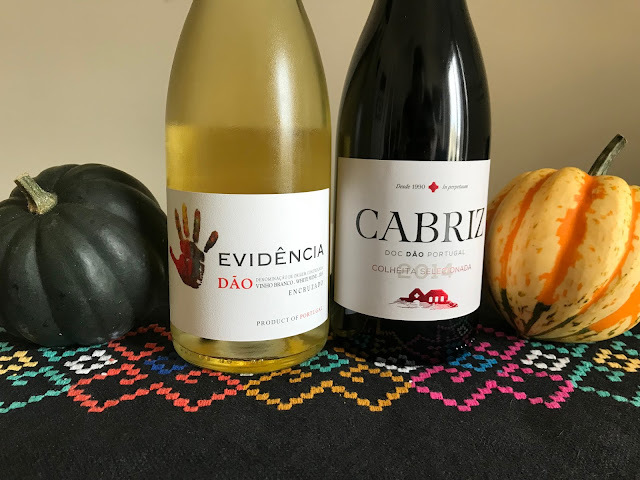 To help out those Portuguese winemakers, I recently picked up two Dão DOC wines—one red and one white. Here's my take. Two bottles of Dão DOC wine with some acorn squashes. I picked up this bottle of Evidencia White Dão for $9.99. A DOC wine for under $10? Imagine trying to find a decent white Burgundy for that price—not easy! This wine happens to be 100% Encruzado grape and I 100% enjoyed it for $9.99. The scents and flavors include white nectarine, tangerine, melon, faint floral honey, and yellow and white flowers. In my opinion, it has a full body for a white wine and exhibited medium acidity. Most notably it has a distinctive waxy mouth feel. Wondering what that was from (lees? oak? ), I did some research and discovered that this wine was only slightly filtered. That explains that! Wine points don't mean a lot to me, but a 90-point wine for $9.99?? I'm just saying, we should really be drinking more Portuguese wines. The affordable 90-pointer I'm referring to is this bottle of Quinta do Cabriz Coheita Red, a blend Tinta Roriz, Touriga Nacional, and Alfrocheiro. Flavors for me include black raspberry, black cherry, white pepper, dry stone, and a little bit of cocoa. This is an oaked wine with a lot of flavor, but it isn't overly heavy on the tannin. I opened it up a few hours before drinking, which I felt helped to coax out its details. 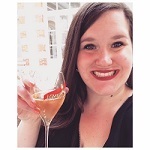 Consider my wine adventure to Portugal a success! I will certainly be exploring more of this country's regional wines. *Do others have wine goals? Is that a thing I made up?